Dozens of public health experts have told Public Health England (PHE) they oppose its decision to work with a charity funded by the alcohol industry. In a letter seen by BBC News, they say the tie-up “will significantly damage the credibility of PHE”. On Tuesday, government alcohol adviser, Sir Ian Gilmore, resigned over the agency’s decision to work with Drinkaware on a new campaign. PHE said it stood by its “fresh and bold” decision. The campaign, Drink Free Days, is urging people aged between 45 and 65 to have regular days when they do not drink any alcohol. 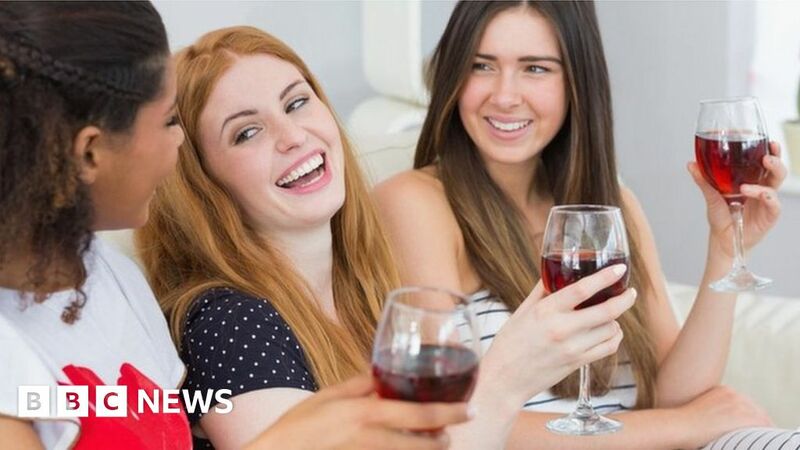 The letter, sent last month, said the link-up between PHE and Drinkaware was a “significant risk both to the effective communication of alcohol advice to the public and also to the reputation of PHE”. They criticise Drinkaware’s advice on reducing alcohol consumption – saying its website does not provide full details on the risks of excessive drinking. “Industry-funded messages and social marketing campaigns should not be a substitute for publicly-funded campaigns providing independent and evidence-based information,” they conclude. Researchers have also pointed out that some of Drinkaware’s funders do not adhere to the latest health advice on their products. Since 2016, the safe drinking limit for both men and women, according to the Chief Medical Officer for England, has been a maximum of 14 units per week, equivalent to six pints of average-strength beer or seven glasses of wine.. But Heineken Group, for instance, says on both its Heineken and Fosters beers that UK Chief Medical Officers recommend a maximum limit for men of three to four units a day, and two to three for women. A Heineken spokeswoman says they are in the process of producing new labels. Questions have also been asked about three officials from Public Health England, including its chief economist, attending a conference in May which discussed finding a way in which the drinks industry could pay for research into the effectiveness of public health alcohol campaigns. The conference, at Imperial College in London, included representatives from two large brewers – AB InBev and Molson Coors. One researcher said it was “reminiscent of the tobacco industry paying researchers for decades to hide the harm they caused”. But the organiser of the conference told the BBC that little progress had been made since the meeting and that research “standards will be developed exclusively by academics. We aim to be as transparent as possible”. In a statement, PHE admitted that its representatives had attended the conference – but did not comment further. On the decision to work with Drinkaware, it said: “PHE is steadfast in its ambition to reduce the harms that drinking too much alcohol can cause and we will work together with any partner that speaks to the evidence and shares the same commitment. “Drinkaware is an independent educational charity with an extensive reach to the key audiences.